When can I apply for a provisional license? Unlike many instructors, our prices vary depending on your distance from the instructor. The less we travel the less you pay. Lesson prices shown below illustrate a learner having lessons within a 3 mile radius of the instructors home postcode, during normal working hours, Monday to Friday. Evening, Weekends, and Bank Holiday lessons available at extra cost. Please contact us for an exact quote for your circumstances. Learn to drive in Worcester, Redditch, Evesham and surrounding areas. Learn with one of the countries top instructors. 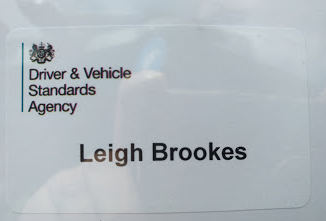 For almost 20 years, I’ve either taken or trained and assessed drivers for the UK’s most demanding tests in either the emergency services or civilian advanced courses. 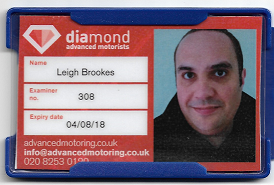 I also and train people to become driving instructors, and upskill qualified driving instructors who need additional training to pass or improve their grade on their DVSA Standards Check as well as those seeking to become driving examiners and pass the DVSA Examiners driving assessment. I have passed the DVSA New Entrant Examiners Assessment, subsequently been employed by the DVSA and as part of the course worked in a test centre for two weeks sitting in on numerous tests and receiving training from serving examiners at the centre, and then attended Cardington for classroom and in-car sessions on test marking, control and assessment as well as passing the Examiners Theory Test and Hazard Perception Test at the first attempt. 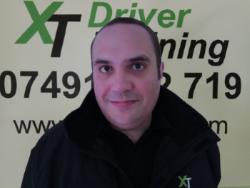 My qualifications are amongst the most extensive you will find in the Learner driver training sector. Rated Grade A for Instructional Ability by the DVSA means I am in the top 24% of ADIs* and I’m signed up to both the industry code of practice and voluntary continuing professional development – The three things the DVSA recommended you look for when choosing an instructor, and I am also rated Grade A for driving ability on the “Cardington Special Test” , the toughest test the DVSA examine. I am a member of the Governing Committee of the ADINJC a trade body representing driving instructors that consults directly with the DVSA. Remember, lots of cheap lessons and failed tests could end up costing you more than lessons that are a bit more expensive, but that you need less of. Prices for learners from £24per hour, depending on location and inclusive of block booking discount. Please phone to discuss your exact requirements 07491 462719.